The musicians of The Lion King on Broadway bring a variety of extraordinary musical experiences showing a depth of talent that encompasses most of the music performing genre in New York and beyond. Tony Bennett, Phil Collins, Elvis Costello, Aretha Franklin, Jay-Z, Raul Julia, Madonna, Sting, Barry Manilow, Paul McCartney, Brian Stokes Mitchell, Bernadette Peters, and Lou Diamond Philips. Allen Farnham has been active in the New York City jazz scene as a pianist, composer/arranger, producer and teacher since the early 1980's. He has performed and/or recorded with Joe Lovano, Chris Potter, Eddie Henderson, Frank Wess, Tom Harrell, Arthur Blythe, Special EFX, the John Fedchock NY Big Band, and Charlie Byrd. He has also accompanied a wide range of vocalists, including Mel Torme, Ernestine Anderson, Mark Murphy, Liza Minnelli, Susannah McCorkle, Roseanna Vitro, and Helen Merrill. Mr. Farnham is active in the recording industry, having recorded extensively as both a leader and side musician, and has worked as a staff producer and arranger for the west coast based jazz label, Concord Records. He has also served as that company's director of national radio promotion. As a producer, he has produced over 50 albums for such artists as Charlie Byrd, Tito Puente, Mongo Santamaria, Lew Tabackin, Chris Potter, Buddy DeFranco and Jack McDuff. Mr. Farnham's arranging credits include recordings by Eden Atwood, Susannah McCorkle, Veronica Martell, Jesse Davis, and Monty Alexander, as well as his own albums. A 1997 release by Concord Records, "Allen Farnham Meets The RIAS Big Band," features his original compositions and arrangements for the renowned RIAS Big Band of Berlin, Germany. A 1983 graduate of the Oberlin Music Conservatory, Mr. Farnham has been the recipient of grants from the National Endowment For The Arts and the Meet The Composer Foundation. He also holds a Master of Music Degree in Jazz Composition and Arranging from William Paterson University and has been commissioned to write works for the CUG Orchestra (Nagoya, Japan), NPO Glovill (Tokyo), the RIAS Big Band, and the Englewinds Chamber Ensemble. He is presently an adjunct faculty member of the jazz department at New Jersey City University, Jersey City, New Jersey. Native New Yorker, Paul began subbing on The Lion King a few months after it opened in 1997, and joined as a regular in 2005. He continues to be amazed every day that a production that has so much artistic integrity could be packaged in such a commercially viable musical. Along with his regular schedule of playing and conducting, Paul maintains and updates all the synth and synth related technologies that are required to keep the show running, including triggering stage effects from keyboards in the pit. 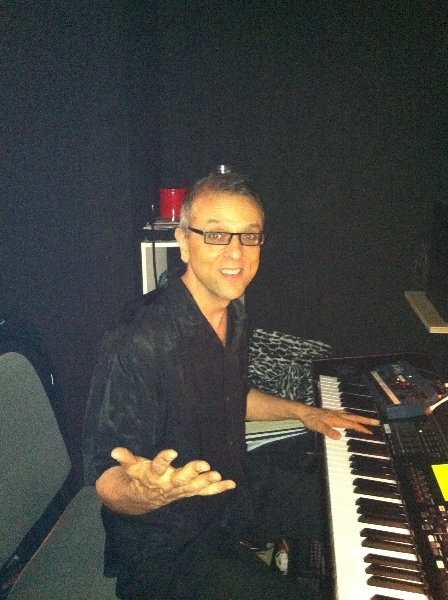 He also set up and maintained the synth technology for The Lion King production in Las Vegas. Paul is also the Synth Programmer, Synth Sound Designer and keyboardist for the New York Philharmonic where he has performed and programmed for John Williams, Andrea Bocelli, Esa-Pekka Salonen (who was recently the featured artist on the Apple.com home page) and Paul Gemignani (Company and Sweeney Todd - for concert and film), as well as many others. Prior to The Lion King, Paul music directed and performed in many productions at regional theaters around the country including Hartford Stage, The Old Globe, Portland Stage and StageWest, as well as The Williamstown Theatre festival for two seasons. He was also first keyboardist for the final year of the first National Tour of The Full Monty. 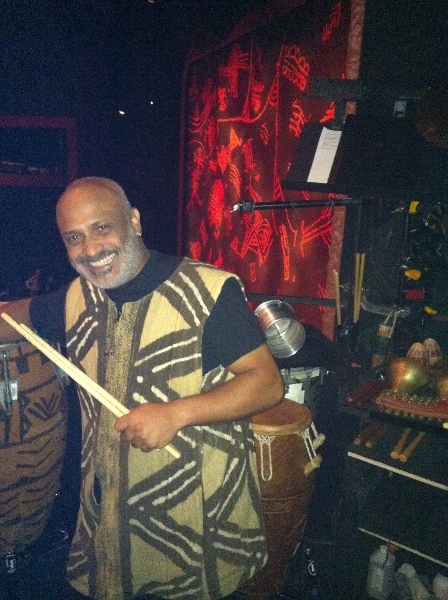 Rolando Morales-Matos is a well sought after Latin, Jazz and Classical percussionist. Rolando is a member of the Ron Carter Foursight Quartet, and frequently plays with The Philadelphia Orchestra as an extra percussionist. He has performed and/or recorded with artists and groups such as Ron Carter, Paquito D’Rivera, Dave Samuels, Dave Valentine, Celine Dion, Michael Bolton, Nexus Percussion Group, The Birdland Big Band, among others. He has recorded movie sound tracks including “Failure To Launch”, “The Pink Panther” and appears playing on-screen in the Disney film “Enchanted”. In 2006, Rolando was the recipient of Drum Magazine's World Beat Percussionist of the Year Award. In 2008, he released his solo album “From the Earth” featuring the Hang Drum and most recently has released his Latin Jazz group debut album “Forward”. Before arriving in New York City, Rolando had been the Principal Percussionist with Orquesta Sinfónica de Galicia in Spain, and as Guest Principal Timpanist with the New Zealand Symphony Orchestra. He has also frequently performed as an extra percussionist with Puerto Rico Symphony Orchestra and the Pittsburgh Symphony. He has toured the Caribbean, the United States, and Europe with many salsa and popular bands. Rolando Morales-Matos is a faculty member at Curtis Institute of Music, Temple University, The New School for Jazz and Contemporary Music, New Jersey City University, and gives clinics and master classes at many Universities and conservatories. Born and raised in San Juan, Puerto Rico, Percussionist Rolando Morales-Matos began his musical studies at the prestigious high school for the performing arts, Escuela Libre de Música and started touring with popular artists at the age of 15. He moved to the States and received his Bachelor’s degree in Classical Percussion Performance from Carnegie Mellon University, Master’s degree from Duquesne University, and Certificate of Professional Studies from Temple University. Velerie is known for her pioneering efforts in West African keyboard percussion music, studied in eight African countries and has been, with Barry Olsen, the only non-West African to win the prestigious Ghanaian Kobine Festival gyil competition. She has lived in New York since 1981, plays percussion for NBC’s Saturday Night Live Band, and Broadway’s The Lion King, and has performed at 10 Percussive Arts Society International Conventions, and on six continents solo, with The Philip Glass Ensemble, David Byrne, The Paul Winter Consort, Zakir Hussein, and others. R G Production’s film “Knock on Wood”, documenting Valerie’s activity in Ghana, has appeared in documentary film festivals throughout the world. Valerie compiled the published transcriptions “West African Music for the Marimba Soloist,” (with mentor Kakraba Lobi), “Joro” a series of works for Gyil and Orchestra, and 12 CDs. Valerie holds a BA in vocal and instrumental Music Education from the University of Oklahoma, and a Master in Percussion Performance from Ithaca College, and currently teaches West African Percussion at NYU, Ithaca College's NYC extension program, and the Manhattan School of Music. She was named Drum! Magazine's "World Percussionist of the Year" 2003 and 2008, and “Mallet player of the Year” 2012. He has written articles on fandom and creativity in experimental electronic music, therapeutic soundscape listening apps, and his work has appeared in the Grove Dictionary of American Music and the Journal Popular Music and Society. His compositions for percussion have been recorded on Eroica Records, and he has released two collections of electronic music. His most recent recording is Singing Bowl Music. (2014). Carter McLean is what sports writers call a" multithreat". Along with playing some SERIOUS drum set, he also plays tabla and piano. In addition, he's a composer, arranger, and synth programmer. And the guys only in his early twenties! -Modern Drummer Magazine. Carter McLean was born in San Francisco California in 1978 and shortly there after moved to Connecticut. This is where McLean listened and fell in love with music and especially the drums. At age 10 he started his journey as a musician. Today living in NYC he has been exposed to every style possible. From big band at Birdland to the Lion King on Broadway. Mclean has been busy touring and doing studio work in the city as well as touring with brother Jamie McLean and R&B singer Martin Luther. McLean has also shared the stage with Victor Wooten, Anthony Hamilton, Bernie Worell (Parliament Funkadelic) Fred Wesley (James Brown), Leni Stern and many others. McLean continually tries to check out all the knowledge in NYC and grow as a musician. 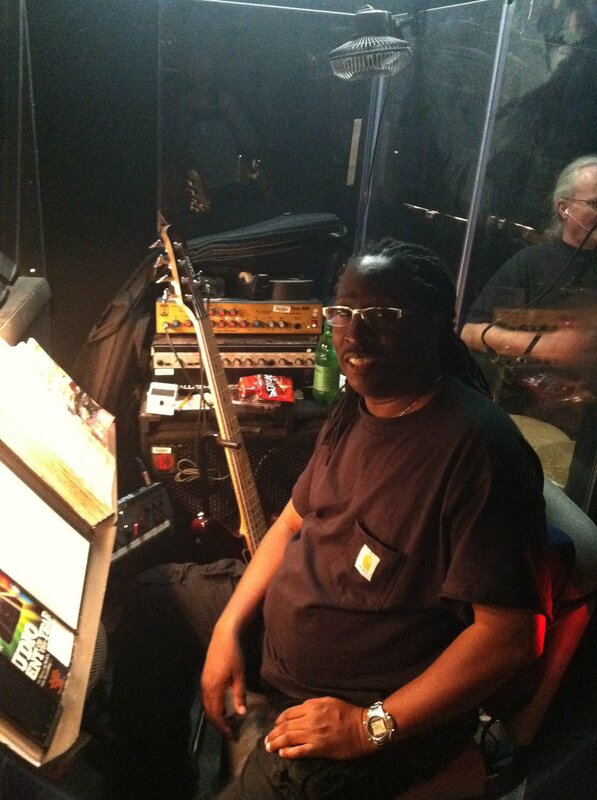 Currently touring with Idina Menzel and Ute Lemper, John has done world and U.S. tours with R&B singer Regina Belle, saxophonist Warren Hill, jazz artists Chico Hamilton, Charles Earland, the Orpheus Chamber Orchestra, and recorded/ worked with many other artists, including: Paul Simon, Peabo Bryson, Harry Connick Jr, Steven Van Zandt, #51 Bernie Williams, Denny Dougherty, Patina Miller, Jane Krakowski, Kelli O'hara, Wayne Newton(! ), and others. 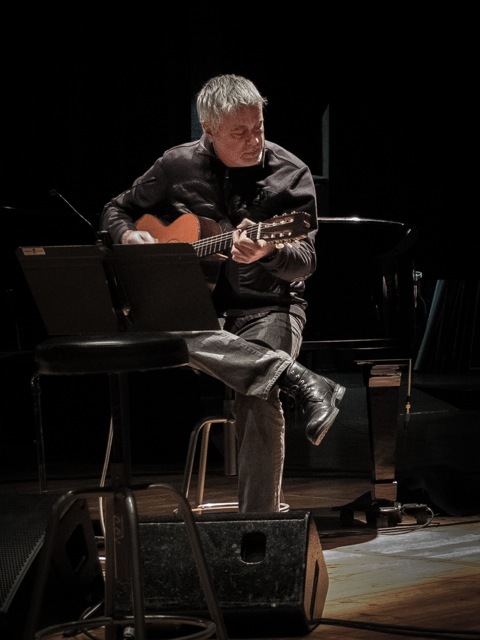 In New York, he has performed with the American Symphony Orchestra, the New York City Ballet, many jingles and film soundtracks, on-camera mandolinist in the movie "The Royal Tenenbaums", and was the principal guitarist in many Broadway shows…John is currently the guitarist at Lion King NYC. Mr Benthal toured internationally for 10 years with the cutting-edge New-music ensemble "Bang on a Can All-stars" as an alternate guitarist. He has played on soundtracks for several award-winning movies, including: "Enchanted", "Nanny Diaries" ,"Doubt", "Sin Nombre", and was recently featured in the documentary "Listen to the World" in an interview and demonstration of ethnic instruments. Sean is a violinist who comes from a musical family with all six members having graduated from The Juilliard School. After graduating, Sean has led a diverse freelance career performing as a regular member of eleven different Broadway productions and has recorded cast albums for sixteen different productions. He has also performed and/or recorded with artists such as Barbara Cook, Michael Jackson, Amy Winehouse, Tony Bennett, Lady Gaga, Madonna and Paul McCartney. Sean has also performed with The Baltimore Symphony Orchestra, The New Jersey Symphony Orchestra, The American Ballet Theatre Orchestra, The New York Pops, The Knickerbocker Chamber Orchestra and the Chautauqua Symphony Orchestra. He is married to a very talented web designer, Kristine Carney, and has a son and daughter, Matt and Morgan, and a Rhodesian Ridgeback, Rocky. Junah Chung's dynamic and imaginative playing has been featured in recitals in America and internationally in venues from Korea to Iceland. He was the assistant principal violist of the Iceland Symphony and is currently the principal violist of Musica Viva. Recently he was the featured soloist with Musica Viva performing Vaughan Williams' Flos Campi. 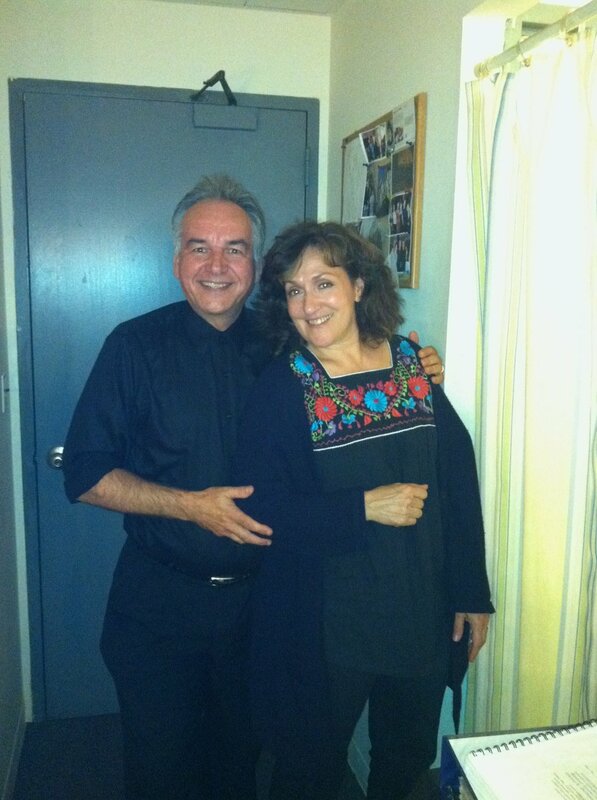 He also appears often at The New York Philharmonic and The Orchestra of St. Luke's. A passionate chamber music musician, he is the founder (with his wife, the violinist Ragga Petursdottir), of the Greenburgh Chamber Players, and often appears at such well known festivals as The International Musicians Seminar at Prussia Cove, The Bright Lights Music Festival in Iceland, and Korea's Daejon Chamber Music Festival. Mr. Chung graduated with a Masters from Juilliard in 1996 where his viola teachers were Lillian Fuchs and William Lincer. He studied chamber music with Joseph Fuchs and Felix Galimir. He also studied chamber music with William Pleeth in London and Eugene Lehner at the New England Conservatory. > Mr. Chung is active as a teacher privately and is on the CUNY Graduate Center faculty. Patrick has played extensively with major musical groups the world over. Formerly Principal Horn of L'Orchestra del Teatro San Carlo, in Italy, he has toured and performed on Live Broadcasts with the Metropolitan Opera, as well as on numerous tours and recordings with the New York Philharmonic. He is fortunately also to be among only a few musicians to have a participation Grammy for both the Metropolitan Opera and the New York Philharmonic. He has also performed with the Philadelphia Orchestra, the Vienna Philharmonic, the Orchestra of Paris, the Mariinsky of Russia, the New Jersey Symphony, the American Symphony Orchestra, and the American Composers Orchestra. Mr. Milando has performed as a soloist at Lincoln Center, nationally, and internationally including a live NHK TV Broadcast in Japan. A member of ASCAP, Mr. Milando has composed and premiered several works both in Asia and at Lincoln Center. In addition, he has published with Musicians Publications, an orchestration of Dukas’s Villanelle for Horn and Chamber Orchestra. On Broadway, Mr. Milando has the First Horn chair on Disney's The Lion King. He has also played on numerous national Radio and TV recordings and more than a dozen Movie Soundtracks. Alexandra has been playing horn in the metropolitan area for the past twenty five years. She started her career as a chamber musician playing with the award winning woodwind quintet Vox Nova. Alexandra has performed with Orchestra of St. Lukes, Orpheus Chamber Orchestra, New York City Opera, Brooklyn Philharmonic, American Composers Orchestra and Riverside Symphony, and has held positions with the Northeastern Pennsylvania Philharmonic, New Haven Symphony, and Orchestra of New England. Miss Cook has also played numerous Broadway shows including Gypsy, Secret Garden, The Who’s Tommy, King and I, Titanic and is currently a member of the Lion King Orchestra. As a student studying horn and performance practice at SUNY Purchase, Miss Cook pursued her interest in original instruments. As a result she has been an active member of the original instrument movement from the beginning of her career. On period instruments, Alexandra has performed and recorded with many early music ensembles; American Classical Orchestra, Philharmonia Baroque, Smithsonian Chamber Music Society, Amor Artis, Apollo Ensemble, Concert Royal, REBEL Baroque Orchestra, Trinity Baroque Orchestra, New York Collegium and American Bach Soloists. The American Classical Orchestra Recording of the Beethoven Sextet and Septet, was reviewed by the American Record Guide and writes “These are wonderful boyant performances…” “the best performance now available”. Greg is proud to be a member of the Lion King horn section on Broadway. He has also worked on the Broadway productions of Jekyll and Hyde, Aida, Annie Get Your Gun, Oklahoma, Wicked and the Radio City Christmas Spectacular. Originally from Indiana, Greg studied at Carnegie-Mellon University, Northwestern University and SUNY-Purchase. Greg is active as a classical musician and plays with many groups in the New York area. In addition, he enjoys playing big band and jazz. Greg helped to found the Taiwan National Orchestra, which recently celebrated it's 25th anniversary, and also held a position in the Vienna Chamber Opera. When Greg isn't playing horn, he can be found hiking the trails near his home in Cold Spring, NY or on the tennis courts there. He is married to the accomplished writer, Mona Smith, and has a young son, Roy. Greg is also director of the Vienna Festival Orchestra. George has toured with Frank Sinatra, Buddy Rich, Liza Minnelli, Maria Schneider, Barbra Streisand, Mingus Epitaph Orchestra. Recorded with Maria Schneider, Tony Bennett, Ryan Truesdell's Gil Evans Project, John Fedchock's New York Big Band, Dream Theater, The Canadian Brass, Barbra Streisand, Aretha Franklin, Chaka Khan, Patti LaBelle, Michael Jackson, Gladys Knight, Natalie Cole, Linda Eder, Amy Winehouse, Sinead O'Conner, Philip Glass, James Galway and others. George can be heard on many movie soundtracks and jingles. Rob is a creative multi-reed instrumentalist based in the New York City area for 30 years. When Rob is not performing as a regular member of The Lion King orchestra on Broadway, his fluency on all saxophones, flutes, and clarinets has made him a versatile entity on the music scene. His interest in a wide array of musical styles has drawn him to like-minded improvising artists. He has recorded and/or performed internationally with artists such as Don Byron, Muhal Richard Abrams, Holly Cole, Mongo Santamaria, Uri Caine, Jason Robert Brown, Brad Jones, Joe Daley, The New York Composers Orchestra, James Emery, Marty Ehrlich, Phillip Johnston, and Kevin Norton. Robs solo CD, Parallax, on Vintone Records, features his compositional and improvisational perspectives in collaboration with a number of New Yorks top creative musicians. Mr. DeBellis has performed in numerous chamber music settings from pieces by John Adams at Lincoln Center, The Stravinsky Marathon at Symphony Space, and recently with The Knickerbocker Chamber Orchestra at the World Financial Center Winter Garden. During 2008-2009 he was the alto saxophonist in The New York Saxophone Quartet. His film and TV credits span a wide spectrum, from Class of 3000 and Roccos Modern Life on the Cartoon Network, to film scores by composers David Mansfield, Pat Irwin, Phillip Johnston and Jason Hwang. His woodwinds can be heard on the current season of HBOs Bored To Death. Rob has also recorded and/or performed with pop icons Jay-Z, Barry Manilow, Phil Collins, Marianne Faithfull, and Dave Stewart. Mr. DeBellis is a graduate of The University of Pennsylvania and has been directing ensembles and teaching woodwinds at The Dwight Englewood School, Englewood, NJ since 1985. New York City based musician, specializes in performing on flutes and woodwinds from many different cultures, including American and Celtic flutes & whistles, panpipes, recorders, Asian and Middle Eastern woodwinds, unusual woodwinds (bass flute; great bass recorder; sopranino ocarina, microtonal woodwinds) as well as western flutes in a variety of styles (rock, jazz, classical). Currently, Mr. Weiss performs with Disney's The Lion King for which he is a featured orchestral soloist, performing on thirteen different woodwinds. He co-composed much of the flute music for that production, which has received numerous awards, including a 1999 Grammy. Dave is active in the recording industry, and is frequently requested to perform on television commercials, films, video games, documentaries, and CDs. He also serves as an advisor to composers, orchestrators, and fellow musicians on historical and ethnomusicological issues. RECORDING Mr. Weiss is much in demand as a recording musician, working regularly for most of N.Y.C. 's major music companies, as well as many independent artists, composers and arrangers. He enjoys working with musicians who are looking for unusual woodwind sounds for their projects and would like to explore many new and different colors. He has re-designed many of his instruments so they are in tune with western instruments to A=440. 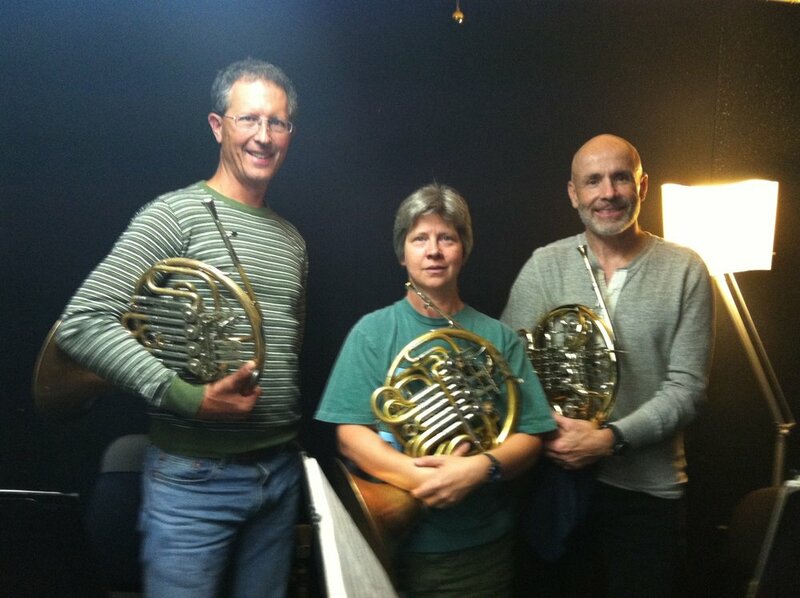 Mr. Weiss has recorded as a guest artist on the soon to be released album by Phil Collins, and for the classical trio Auréole, both to be released by summer 2006. Other albums: Erasure, Linda Eder, David Arkenstone, Chris McHale and Michael Whelan on the Narada label, Disney and RCA, Nonesuch, Raven, and many independent labels. Mr. Weiss has performed as soloist on several hundred television commercials in a large variety of formats: Mercedez-Benz, MasterCard, Irish Spring; Film and TV programs: Disney's "The Hunchback of Notre Dame", "The Rookie", WB's "Felicity, An American Girl"; as well as several P.B.S. "Americana" mini-series: "The Presidents"; "Barnum"; and "Freedom: The History of US".He has performed with a very eclectic list of ensembles, soloists, and composers: The Philip Glass Ensemble (Flute, Piccolo, Bass Clarinet); Metropolitan Opera Orchestra (Saxophone); New Jersey Symphony (Flute, Bass Flute, piccolo); Aretha Franklin (Sax). EDUCATION Mr. Weiss graduated from the Manhattan School of Music in 1981 with a Diploma of Performance in Classical Flute, and in 1992 earned his full Bachelor's of Music Degree from the same institution. Other studies at The Juilliard School, Bowdoin College, Hunter College, and three other universities.